The National Science Foundation Field Station and Marine Laboratories program has provided a grant to support the cost of visits to the Meyer's Point Environmental Field Station. 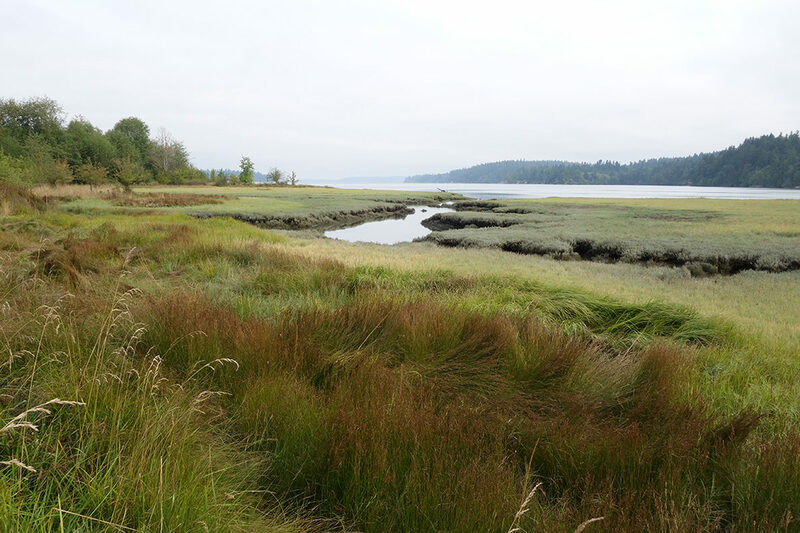 WSU’s Meyer’s Point Environmental Field Station, located just outside of Olympia, Washington, is poised to begin an era of growth and expansion that could enable it to become a leading environmental research, education and outreach center for the Puget Sound Area, and ultimately the state of Washington and nation. A new planning grant from the National Science Foundation Field Station and Marine Laboratories (FSML) program will help jump‑start this process. In the months and years ahead, additional proposals to further develop MPEFS will be submitted to the FSML program, other federal and state funding agencies, and private donors and philanthropic foundations. 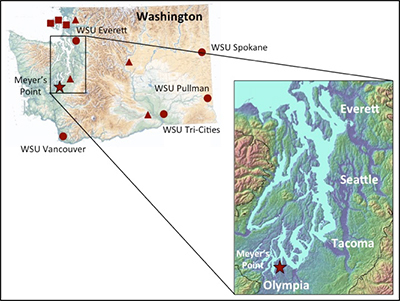 Demonstrating significant usage of MPEFS by WSU faculty and students will be a key to the success of these proposals — especially for FSML, where documenting significant usage is a requirement of all grant applications. In keeping with the Meyer family bequest to “promote environmental education, research and the arts,” the WSU College of Arts and Sciences (CAS) is launching a small grants program to promote greater usage of MPEFS for either teaching, research or creative activities on site. All WSU faculty members, irrespective of academic unit or location, are eligible to apply. Research grants of up to $3,000 can support part‑time graduate or undergraduate assistants, travel, materials and supplies, or other incidental research costs. Teaching grants of $1,000 or less could cover student travel (e.g., buses or vans), curricular supplies or other incidental teaching costs. In all cases the research, creative or teaching activities must occur on site at MPEFS. Brief proposals (2 pages maximum) should consist of the following sections: Title; Investigators; Introduction and Background; Goals and Objectives; Proposed Activities on Site at MPEFS; Budget; Sustainability and Leverage for future funding. Proposals for spring through autumn 2019 activities are due Feb. 1. Proposals should be submitted electronically to sbollens@wsu.edu. Proposals will be evaluated by the MPEFS Steering Committee (see criteria below), which will make funding recommendations to the CAS associate dean of research, who will make final funding decisions. For additional information, please contact Steve Bollens, director of multicampus planning and strategic initiatives, College of Arts and Sciences, 360‑608‑6893, sbollens@wsu.edu.